hd00:10Elegant wild exotic bird with colorful artistic feathers. 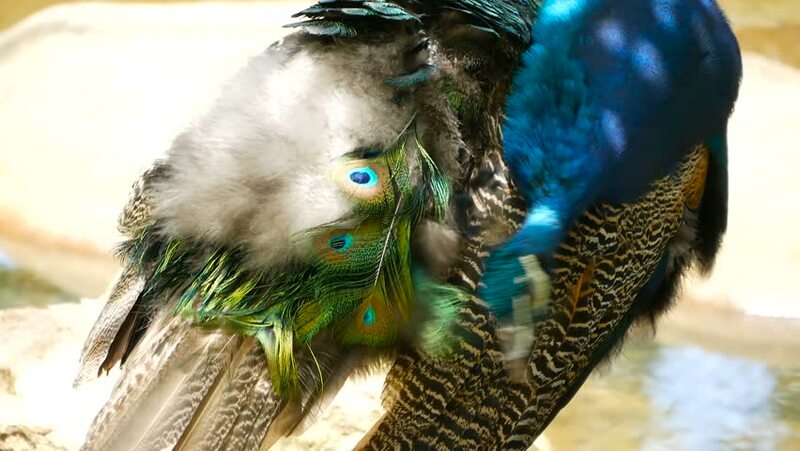 Close up of peacock textured plumage. Flying Indian green peafowl (Pavo cristatus) in real nature, vibrant pattern of luminous tail and wings. 4k00:21Close up shot of peacock's head, with part of its back and wings in the background, angled from slightly above the bird.